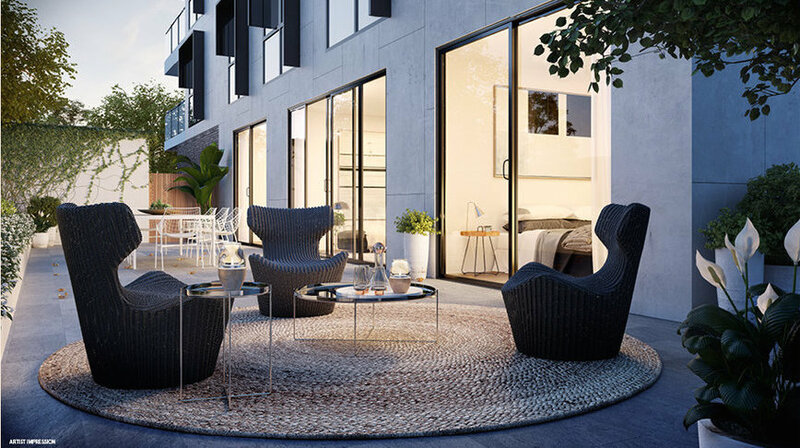 With forty-four of Hue’s apartments already sold, less than half of the residences remain available at the highly sought-after development in Melbourne’s Hughesdale. A fast buy-out of 60% of the residences can be put down to the range of attractive lifestyle features that Hue has to offer. Prevailing feedback from buyers suggests that the neighbourhood’s strong local community drove many buying decisions, while others noted that the beautifully-crafted interiors swayed their decision. There was unanimous admiration for Hue’s distinguished exterior, taking its place neatly in distinctly European village-esque surrounds. Hue owes its architectural design to The Buchan Group, who crafted a façade that exudes elegance through linear detailing and a decadent pairing of concrete and glass. Almost three-quarters of the acquired apartments will belong to owner-occupiers, with a small portion purchased by discerning Melbourne investors. A look at the buying trends revealed that Hue’s larger two and three bedroom apartments were chiefly purchased by downsizers, most of whom are local residents already living within a 5km radius of the project. And with the vibrant neighbouring culture of Oakleigh keeping Hughesdale alive, it’s no wonder why. Distinguished by its eclectic array of cafes, restaurants, bars, and provedore retailers, Hughesdale and Oakleigh paint an attractive picture of suburban living. Residents will be just minutes from Eaton Mall and Oakleigh Railways station. And of course, with Melbourne CBD just 17km away, city life will always be within reach. “We have had substantial interest from owner-occupiers looking to live in the heart of the Oakleigh shopping precinct, without the steep cost and prohibitive mortgage of buying an established house in the area," commented General Manager at Ray White Projects, Alex Zoumboulis. 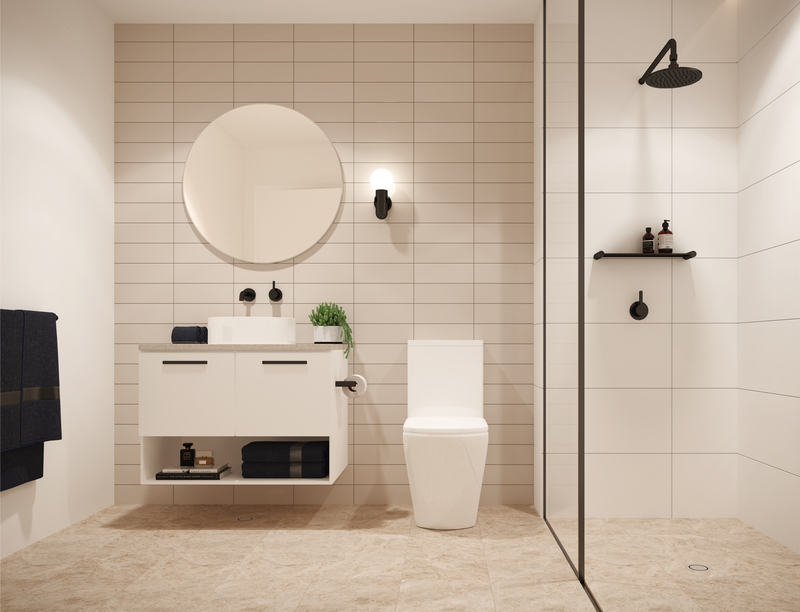 The smaller two bedroom apartments were a favourite among investors and first-time homebuyers, the latter being given an additional incentive to take the leap. 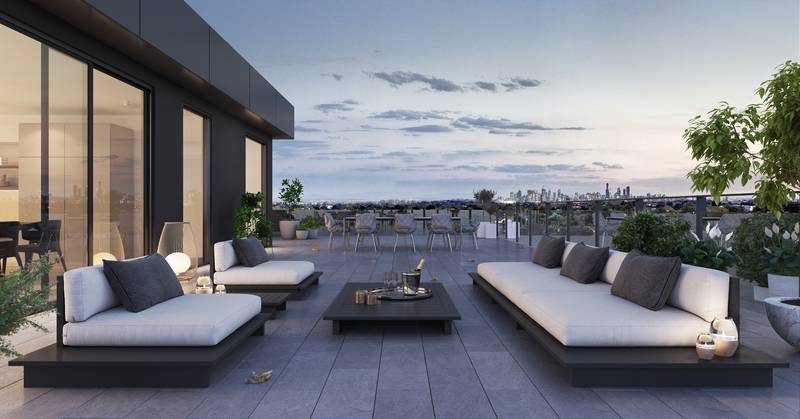 With a deposit requirement of just 5% and Hue's developer absorbing 50% of the cost, a wave of younger first-time owner-occupiers were afforded an attractive opportunity to join the property ladder. All buyers who plan to take up residence in Hue responded very well to the developer’s flexibility around the possibility of modifications and customisations to the apartments. And with a generous selection of colour palettes, Hue’s homes will give residents plenty of scope to add their unique personality through furnishings and art pieces. To discover Hue apartments for yourself, you are invited to the Hue Display Suite, open Thursday - Sunday between 12pm - 5pm. Explore the indicative apartment and get a real feel for the quality of lifestyle you could enjoy at Hue.